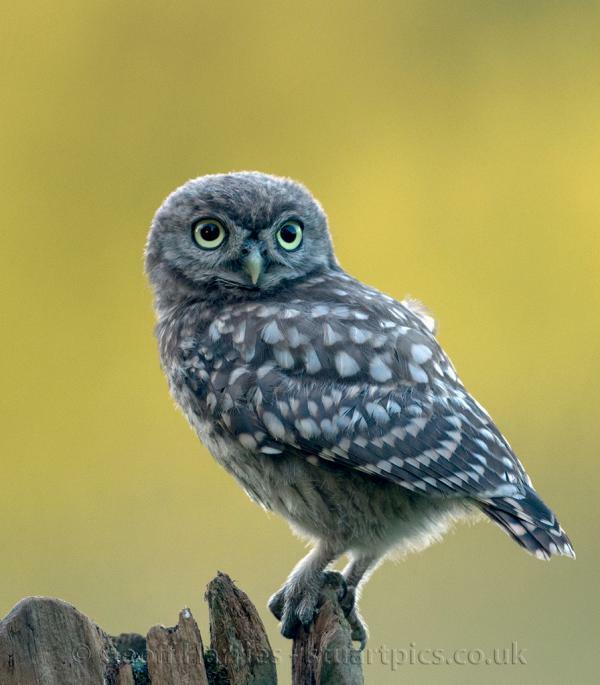 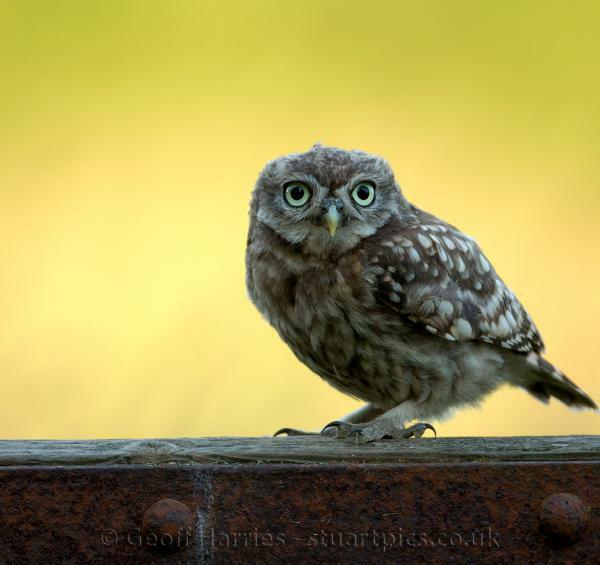 This post is of a fledged little owl that is following its parent around waiting to be fed. 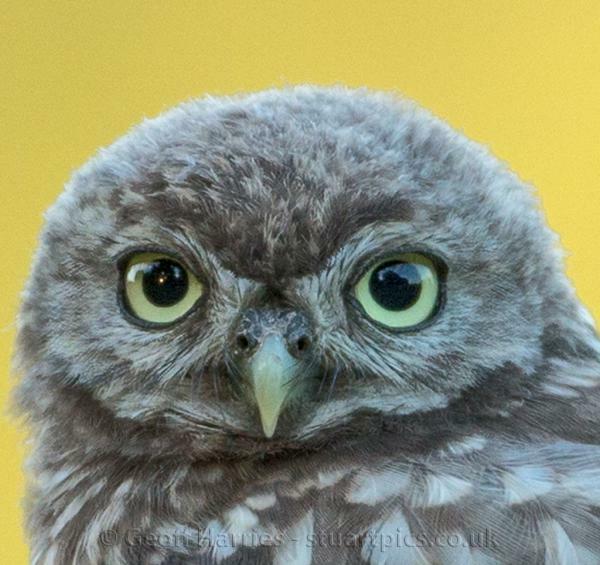 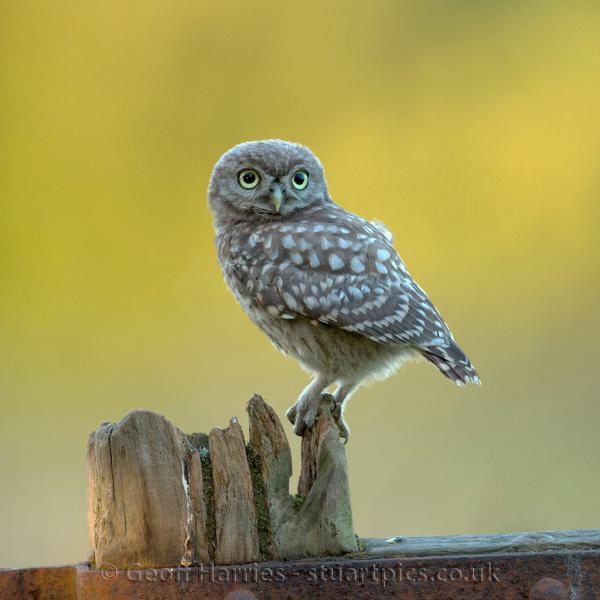 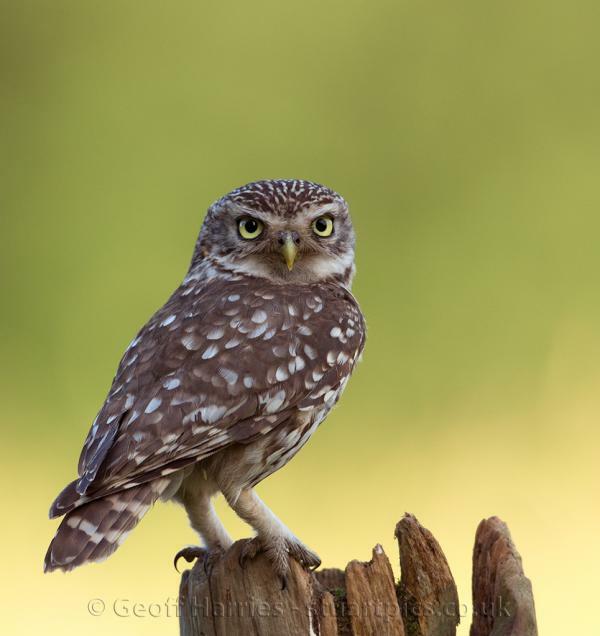 I have posted six owlet images and for comparison one of the adult male. 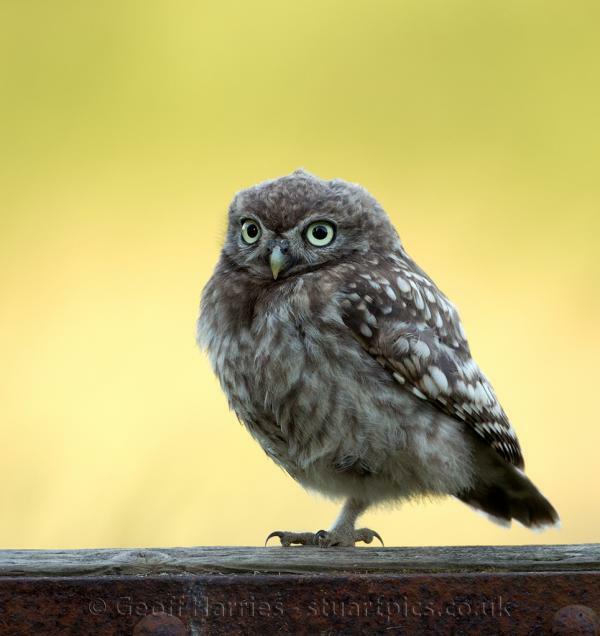 (Last image) The young bird was very nervous and reacted to the sound of the shutter requiring caution not to frighten it away. 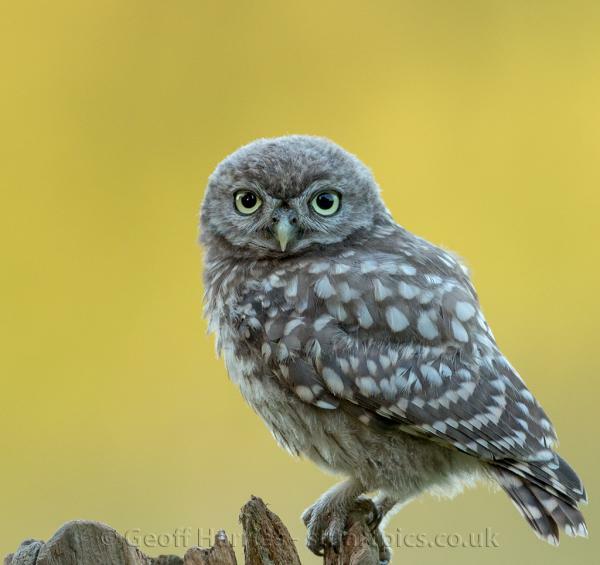 All these images were taken in the late evening giving a soft warm light in the background.